The Odin Space Observatory was launched into orbit in 2001. It is a Swedish satellite that was developed in collaboration with Canada, Finland and France; Canada’s contribution is 20%. It is the first international satellite in which Canada played a major role in design, construction and operation. The observatory is named after the Norwegian and Germanic god Odin. Its mission is twofold: the first objective focuses on aeronomy (the study of the atmosphere), and the second on astronomy. The aeronomic goal is to study certain molecules that are found in Earth’s atmosphere – such as water, chlorine compounds and ozone – which can help us better understand the processes that cause thinning of the ozone layer. The goal in terms of astronomy is to detect specific molecules in comets, planets, stars, interstellar clouds and galaxies. The molecules of greatest interest are water and oxygen, because these cannot be studied from Earth’s surface: our atmosphere blocks any radiation emitted by these molecules in space. To collect the data, the observatory includes to main instruments: a 1.1-metre parabolic antenna, and an optical spectrograph coupled with an infrared imager (OSIRIS: Optical Spectrograph and InfraRed Imager). 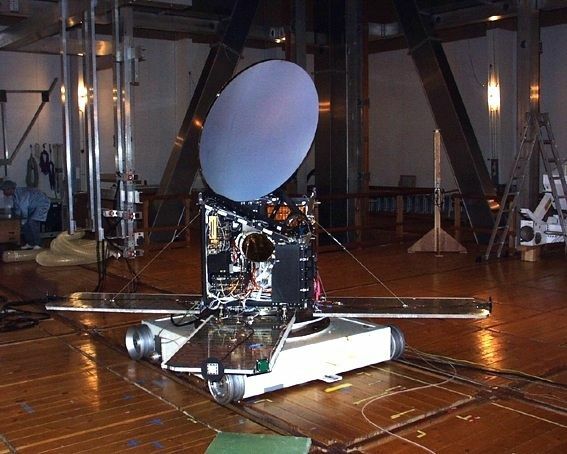 All together the satellite weighs 250 kilograms. Canada’s role in the project began in 1991 when informal discussions began with Sweden about a possible collaboration between the two countries. An agreement was signed in 1994 that defined Canada’s role and the venture was launched. 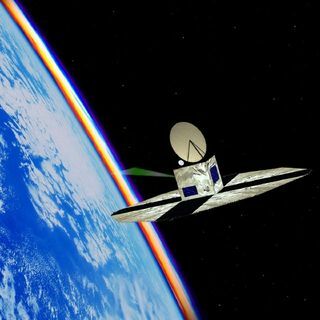 Canada provided several instruments, including OSIRIS, which are used to study specific gases and aerosols in Earth’s atmosphere for the aeronomic part of the mission. The launch was initially planned for 1997, but after several delays and postponements, it finally took place in 2001. The predicted life expectancy for the observatory was two years (that is, until 2003), but the satellite is still functioning today. © ASTROLab du parc national du Mont-Mégantic 2019. All rights reserved.